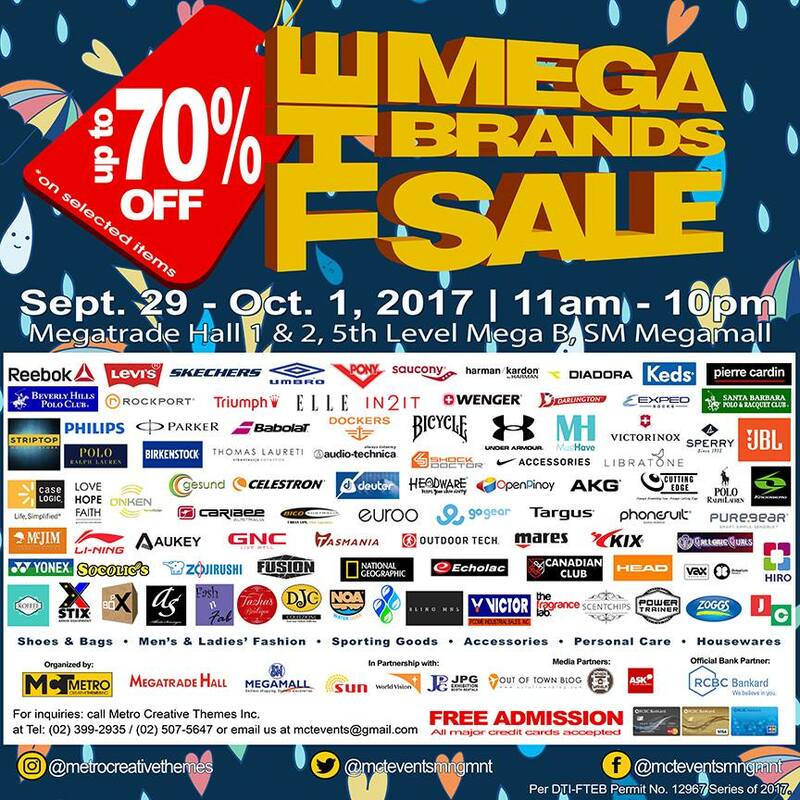 Grab your favorite brands at discounted prices only at the 20th MegaBrands Sale happening on September 29 to October 1, 2017 from 11am to 10pm at the Megatrade Halls 1 & 2, 5th level, SM Megamall. Admission is free and all major credit cards are accepted. 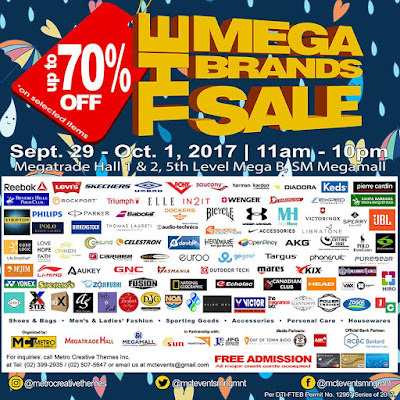 Participating brands: Reebok, Rockport, Keds, Sperry, Levi's, Skechers, Deuter, Triumph, GNC, AKG, Under Armour, Targus, Birkenstock, Wenger, Saucony, Dockers, and many more! RCBC Bankard credit cardholders can avail of 0% interest on installment of up to 12 months.